Wheelz, a peer-to-peer car-sharing service in the vein of Getaround and RelayRides, launches today at Stanford. The Wheelz team comes from electric vehicle infrastructure company Better Place and includes the former CEO of Mercedes-Benz’s North American R&D. That car-specific leadership experience — which CEO Jeff Miller said expresses itself in excruciating attention to detail and reliability — is actually somewhat unusual among next-generation transportation companies, which are often more philosophically driven by a desire to reduce the world’s dependence on oil. Okay, but there still are a heck of a lot of people doing what seems like exactly the same thing, right? “We have a team that’s better equipped to build a technology solution for the problem we’re trying to solve,” was Miller’s response in an interview this week. Miller said he also thinks he has an edge with Wheelz’ strategy of launching in the trusted environment of a college campus, where .edu email addresses and Facebook friends of friends can help car owners feel comfortable lending out their vehicles. He added that Wheelz will continue to launch on college campuses before it takes on the rest of the world. So far Wheelz has just 18 cars in its Stanford system, but it’s adding more each week. 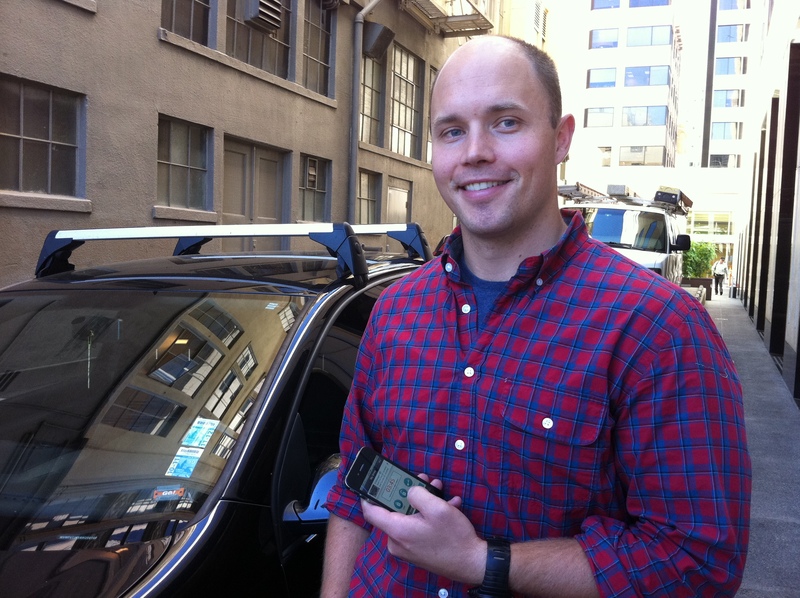 Atherton, Calif.-based Wheelz has been in development for about six months and includes in-car hardware with a card for unlocking it, a $1 million insurance policy, and a Web site and iPhone app for managing bookings. 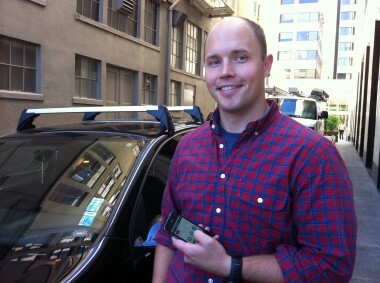 In the photo above, Miller is demoing unlocking the car with his Wheelz iPhone app. The company is funded with $2 million from backers including former Facebook executive Chamath Palihapitiya and Felicis Ventures.